Inspire the next generation of Science, Technology, Engineering, and Math (STEM) professionals by becoming a confident mentor. Offered online at no charge through WSU’s Global Campus, STEM Mentor Training allows you to learn at your own pace and on your own schedule. Young people are eager to learn how their classroom lessons apply to the real world. STEM Mentor Training shows you how to share your professional experience in a classroom, group or one-on-one setting. Use STEM Mentor Training to prepare your volunteers to work with students in both school and non-school settings. A certificate of completion is issued for each unit. 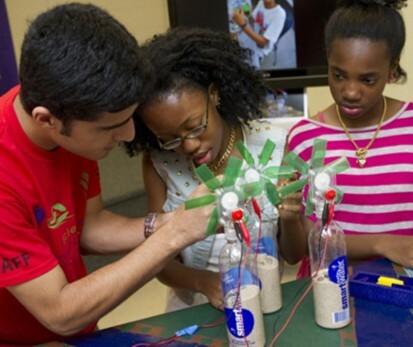 Optional materials, references, and activities provide mentors with creative hands-on tools they can use to bring STEM lessons to life. Build partnerships in your community by encouraging your employees to become mentors. Employees report that mentoring others facilitates their professional growth.